Do you have the information you need to make the important decisions you face? How helpful was your most recent research project with helping you understand the context for your deliberations and evaluating your alternative courses of action with fact-based information? If your answer is “No!” and “It wasn’t helpful at all!” then it’s time to rethink how you are approaching research. How well will this potential product be received in the market and who is our best target customer? Why isn’t this product performing up to expectation and what do we need to do to fix it? Which advertising campaign will perform best with our target market? This type of research is decision-focused research because everything about the research is designed to help make an important decision. It’s a powerful approach to making sure your research dollars are well-spent. I developed an easy-to-read ebook that will describe how decision-focused research works and how you can get started. It is written for the association market, but the lessons are applicable to any organization. Download the free ebook today. And contact me to learn more. 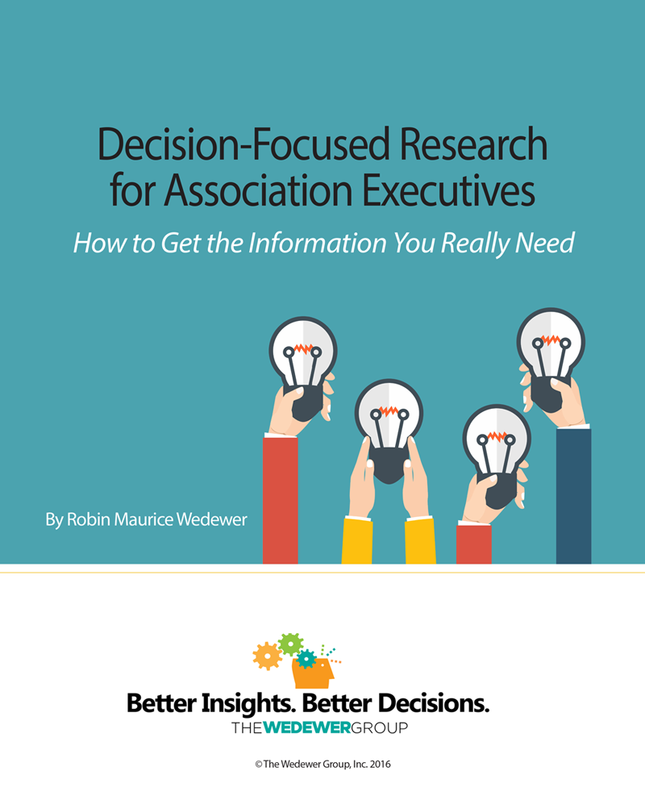 This entry was posted in association research, best practices, focus groups, qualitative research, quantitative research and tagged decision-focused research. Bookmark the permalink.